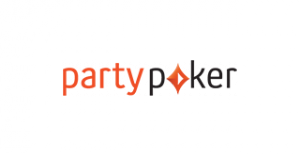 The Party Gaming Network with its flagship partypoker is one of the largest online poker networks in the world. 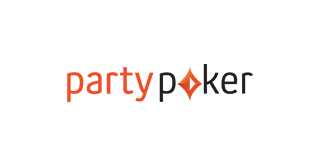 partypoker is the oldest online poker provider in the world. It has existed since 2001 and was originally unaffiliated with other sites. The acquisition of various small poker sites and it’s merger with the well-known sports betting provider Bwin in 2011 expanded the Party Gaming Network. At the moment, the partypoker network is in 4th place in terms of global player numbers. Many years ago, partypoker was the largest online poker room in the world but due to various internal changes and management, they were supplanted some years ago by PokerStars. Since the beginning of 2017, partypoker has been under new management, and in just a few months their platform is rebounding and achieving incredible success. They are implementing new programs like a new rakeback program, a fantastic live poker series, and working with familiar faces from the poker world and beyond. Their collaboration with international stars like the German tennis legend Boris Becker is an example of their nimble recovery. partypoker is owned by GVC Holdings which is one of the leading names in the online gaming sector. Since partypoker and Bwin are also listed on the stock exchange, both providers are among the safest in the world. partypoker was very much behind it’s competitors in Rakeback offers just a few years ago. In the middle of the year 2017, however, a Party Poker launched a brand new rakeback program that is now one of the best on the market. Players will automatically receive up to 40% rakeback each week in their account. VIP players can even receive up to 50%. 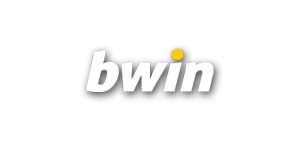 Also Bwin decided to launch the same rakeback programm as partypoker and players can receive like at partypoker up to 40% weekly rakeback. And with the help of YourPokerDream, you can receive even more rakeback. Sign up for partypoker or Bwin via YourPokerDream and benefit from numerous exclusive extras and push your rakeback and make more profit. The partypoker network is known for having the worst players across all the major poker sites. One reason for this lightweight competition is that Bwin is the leading sport betting broker and many casual sports betters also join the poker action. All common variants of poker are offered and with the volume of players, tables are full 24/7. Whether you like Cash Games, Sit & Go Tournaments or Multi Table Tournaments, this safe platform offers everything your heart desires. partypokers software was long considered a big minus, however a series of recent updates has greatly improved the user experience. You can now count partypoker as one of the best platforms on the market. There is a Mac version and a mobile version for all those who like to try their luck while commuting or traveling the world. When it comes to promotions partypoker and Bwin are juggernauts. They offer many interesting incentives throughout games which motivate and keep the players at the tables. Very popular and lucrative are the Jackpot Sit & Go tournaments which are a Spin & Go variant. There are 3 players and the prize pool is determined by chance. With a bit of luck any player can multiply his buy-in up to 12,000 times within minutes. Even a buy-in of just 25 cents can be enough to go home with over € 2,000. If you choose a buy-in of 100 € and are lucky, you can become a millionaire within minutes.